Liberalism cannot succeed in India without thousands of high quality leaders. The search for leaders is pressing and urgent. Everything depends on finding great leaders. In 2007, after having experienced first hand the total vacuum of liberal leadership in India, I had started the Freedom Team of India. 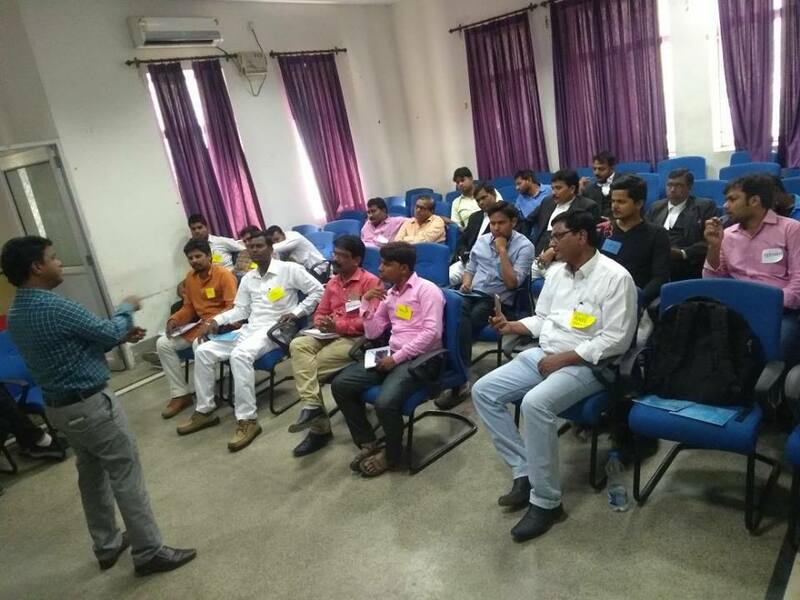 So, earlier this year – more than 10 years after floating FTI – I suggested we try a different approach: that we hold a young leaders workshop– where we’d invite young leaders mainly from Hindi speaking states and hopefully find high quality talent that could be moulded into top-notch liberal leadership. I’m grateful that Anil Sharma and the Bhadohi SBP team made this workshop a reality – on 5 and 6 April in Allahabad. They organised it wonderfully well, as they have been doing all their activities in Eastern UP. I was pretty despondent about this experiment, given the poor response this event got over Facebook. But it turns out the workshop can be ranked as a modest success, – not a failure. The key to this has been the work that the Bhadohi team has been doing on the ground. This work has activated numerous networks in Eastern UP. It is through these networks that around 12 persons were identified and attended. In particular, there was a strong team from Ballia district. SBP’s workshop organisers (mainly Anil and Rabi, but also Kamal, Rahul and a few others) are travelling back to their respective homes as I write this. The workshop was also attended by Anil Ghanwat, President of Shetkari Sangathana – who wanted to understand SBP better. I don’t have a detailed report yet (phone connectivity in Allahabad is particularly poor + timezone issues which make it impossible to talk to people in the evening IST), but through short telephonic and Whatsapp updates I gather that a few young leaders have been shortlisted for further engagement. A key issue now would be the ideological induction and training of these young leaders. Within a few weeks we’ll know whether it was worthwhile to hold this workshop and whether we should try to hold more in the coming months and years. 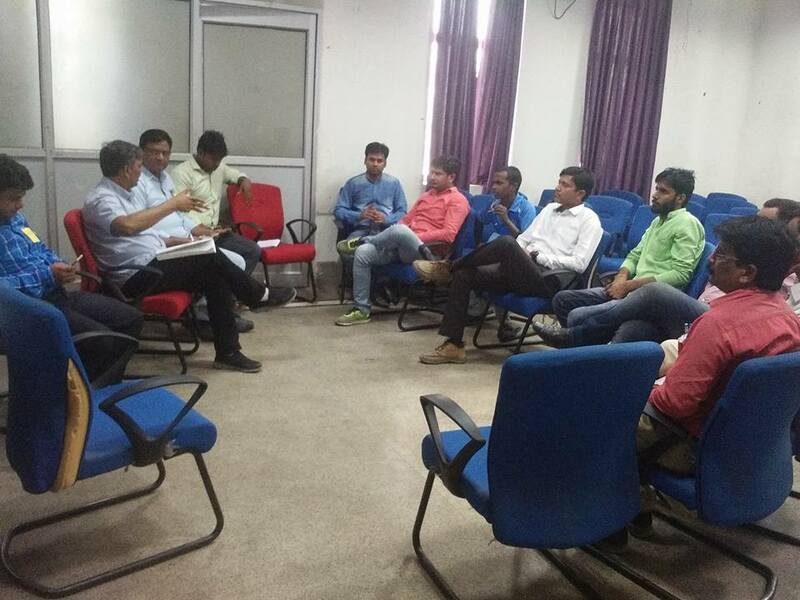 Rahul Pandit speaking to participants of the Young Leaders Workshop in Allahabad on 5 April 2018 (also present are a few SBP leaders). This entry was posted in Swarna Bharat Party.